Kenneth Geller is recognized by Chambers USA, Benchmark, Legal 500 USA, and other industry publications as one of the country’s leading Supreme Court and appellate lawyers. As the 2014 edition of Chambers USA reports, Ken’s peers in the appellate bar regard him “as a ‘top-rate appellate lawyer.’” A former Deputy Solicitor General, Ken has argued 42 cases in the Supreme Court and many other cases in the federal and state appellate courts. 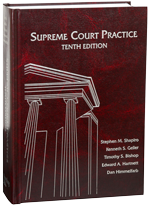 Ken is a co-author of the leading treatise on Supreme Court practice—aptly named Supreme Court Practice. 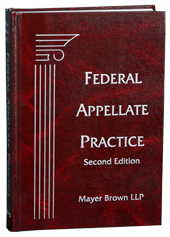 He also is co-author of the chapter on Supreme Court practice in the ABA’s multi-volume treatise Business and Commercial Litigation in Federal Courts and is co-author of the chapter on seeking and opposing Supreme Court review in Mayer Brown’s treatise Federal Appellate Practice. 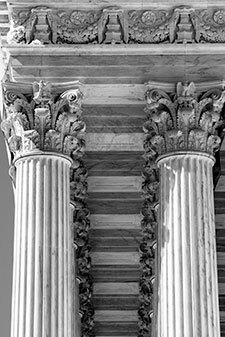 Ken’s areas of expertise include federal preemption of state law, constitutional law, administrative law, and statutory interpretation. This appeal arose out of an award of attorneys’ fees in a settled class action. The total benefits paid to the class under the settlement totaled approximately $40 million. Plaintiff brought a products liability action against Ford Motor Company, alleging that one of Ford’s pick-up trucks was defectively designed because it utilized tempered, rather than laminated, glass in the vehicle side windows. Our client, the Philippine government, sought dismissal of a suit claiming a right to approximately $35 million in assets that Ferdinand Marcos allegedly stole from the Philippines during his time as the country’s president.